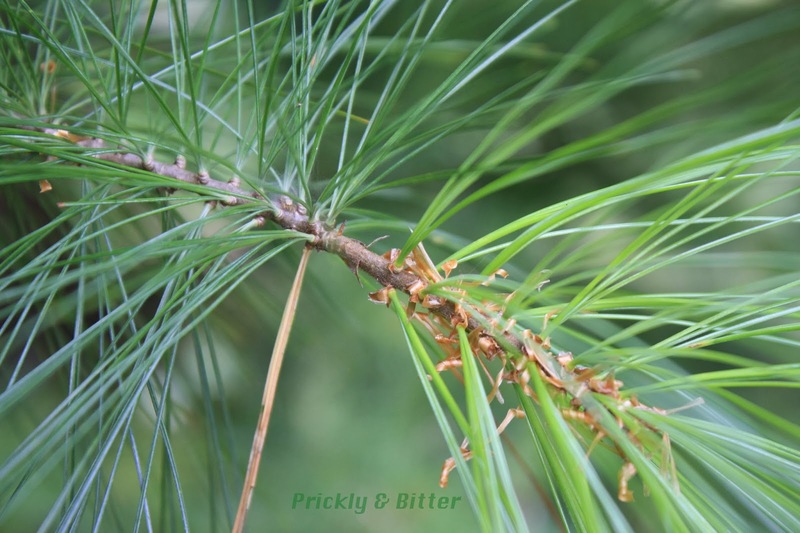 Prickly and Bitter: Mexican White Pines are better than our own White Pines in our own climate?! Mexican White Pines are better than our own White Pines in our own climate?! I have my suspicions about this tree, and it has nothing to do with the identification. 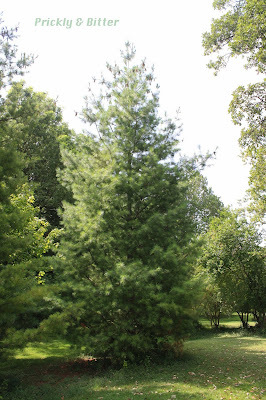 There are three Mexican white pines all planted in a pretty clump; they are definitely ornamental trees and were planted after the arboretum was established on campus (so, believe it or not, these trees are younger than I am. Boy do they grow fast! Because...I'm not that old, no matter what my students would lead you to believe). 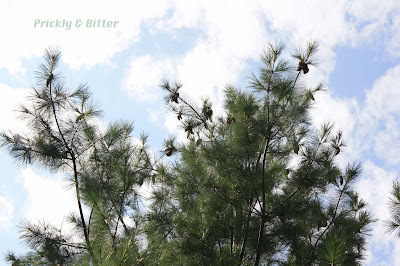 They are most definitely Mexican white pines. What I have my suspicions about is their distribution and abundance. They are native to three very, very small pockets in Mexico along parts of the mountain range that runs straight through the middle of Mexico. These three pockets are now independent populations, and at the time of their assessment under the IUCN (the International Union on the Conservation of Nature) the three populations were non-interbreeding. This in itself isn't necessarily a big deal, but it's the rest of it that matters. Mexico is undergoing, like many countries in Latin America, a huge shift from rural rolling landscapes where you won't see a person for miles into a highly urbanized country with extensive urban sprawl. On top of that, all of these "Eco Resorts" are popping up all over the country. And then there's the drug running (there's no point in denying that it exists!). Oh, and on top of all of that the conversion from traditional vegeculture multi-crop agriculture to a more "North American" (I hate that description for it, since Mexico is part of North America) method of monoculture agriculture. These four things in combination amount to a lot of deforestation; doing this in an area that already contains three highly fragmented populations of a species, populations that exist nowhere else, probably means that the "Least Concern" status that this species has according to the IUCN is now incorrect. I would bet that at least one of those three populations no longer exists, and that the status of the species should, at minimum, be category NT or "Near Threatened", if not VU or "Vulnerable." But, as with all biodiversity research, you first need to find an organization that will fund the research to go out and study these populations (which hasn't been done since 1994!). To say this is a "Mexican problem," or even a "Third World problem," would be completely incorrect. Under the current economic climate in Canada, the only species reassessments done for species at risk are for species that grow in economically significant areas (like the Tar Sands in Alberta), or in areas where urbanization is slated to occur (in the case of Environmental Assessments). I like to think that Canada is a pretty "developed" country...! 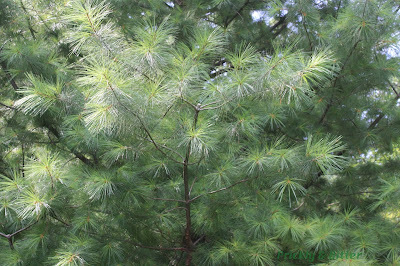 The Mexican white pine is one of the most widely planted pulp trees, from which we derive paper. Nearly every large paper-producing country in the world (except Canada) plants the Mexican white pine as opposed to any other white pine species. 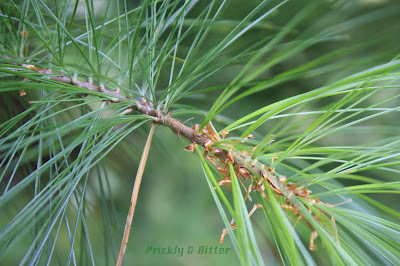 This is because it is highly disease-resistant (especially to white pine blister rust, which is an ever-increasing problem in Canada and the United States, attacking all of our native white pine species), highly cold-tolerant (despite being from tropical Mexico, it can withstand temperatures of -30 degrees Celsius! ), and highly drought-tolerant. This makes it ideal for planting in hot, dry countries, hot, wet countries, cold, dry countries, and cold, wet countries. Name a country that doesn't fall into one of those categories! 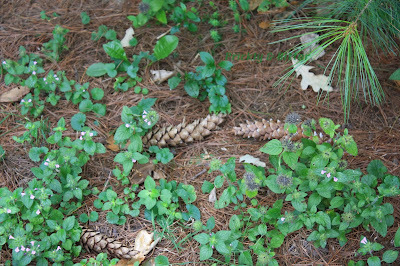 I dare you :) Because of their large cones, and soft, feathery needles they are also a highly prized ornamental species. One great thing about this tree that makes it ideal to plant as an ornamental is that it doesn't actually get to be that large. The tallest Mexican white pine on record lives in Germany and is only 20 meters tall. That's not a very big tree for being the biggest ever recorded!